So what is a peedie painted pebble? 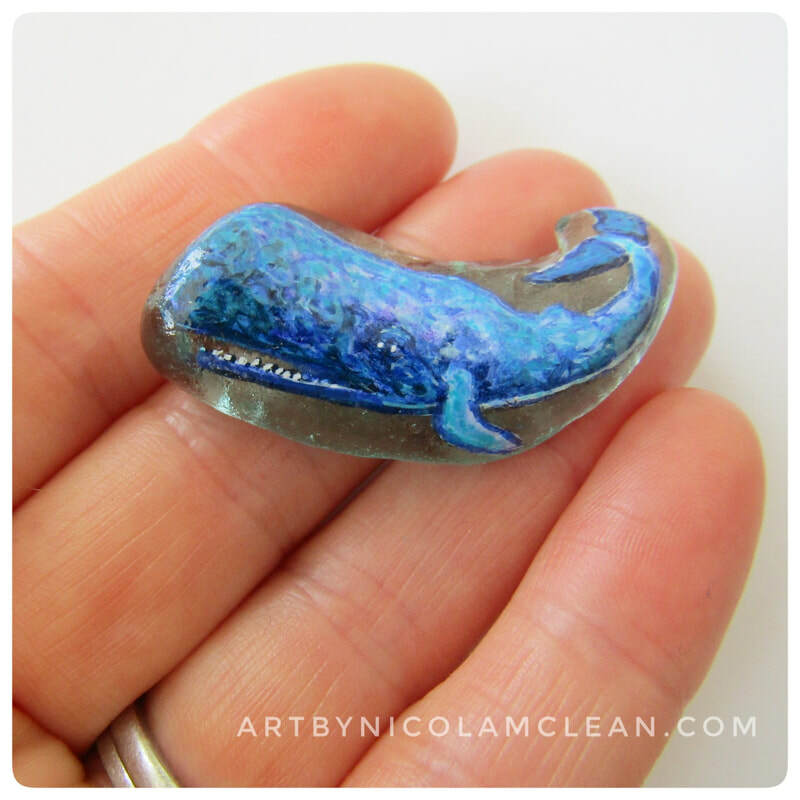 'Peedie' is a Scottish word originating in Orkney which means 'small'. 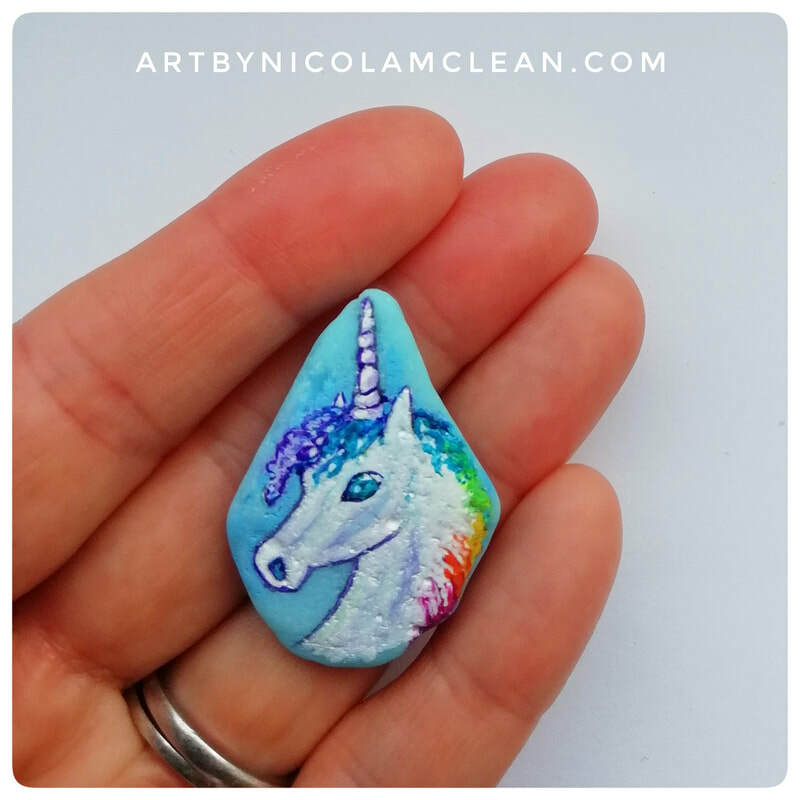 I like to paint in miniature and one day while walking along the beach I noticed some lovely small round pebbles and wondered just how small I could go and so 'peedie painted pebbles' were born. I have since been collecting small pebbles and pieces of sea glass and sea pottery on my daily dog walks on the beaches of the far north coast of Scotland where I live - sometimes the shape will tell me exactly what I should paint on it and other times I'll get an idea to paint a particular subject and then look in my collection for the perfect pebble or piece of sea glass to use so no two painted pebbles will be exactly alike. They do all however require a very steady hand and a very tiny paintbrush! 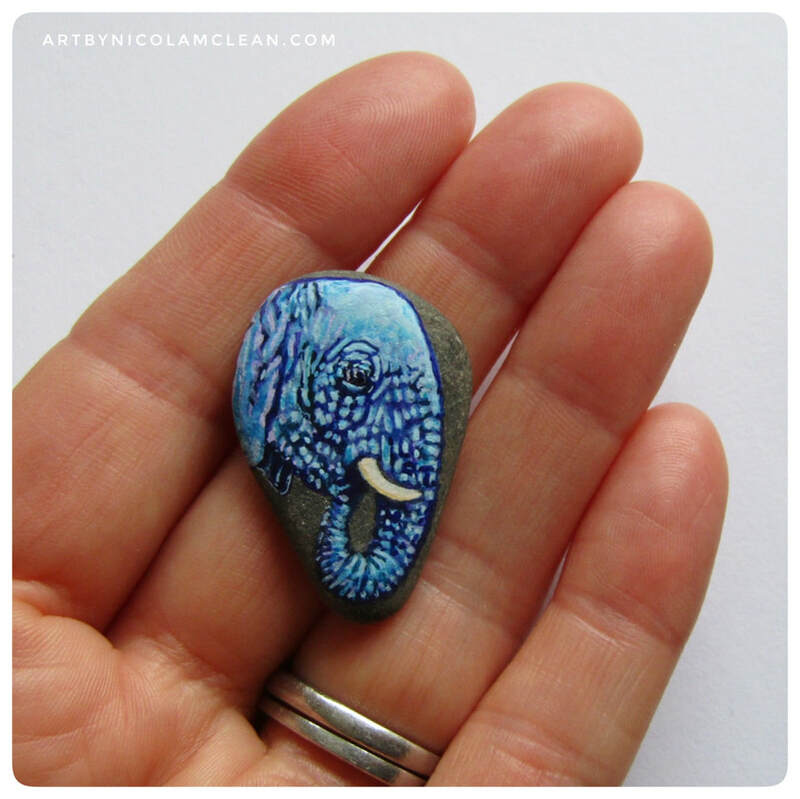 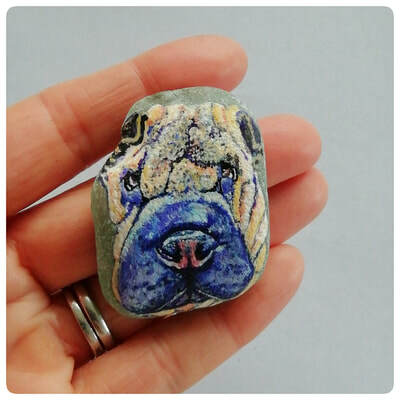 I list all painted pebbles and seaglass in my Etsy shop and I also offer custom paintings - if you would like to have a tiny portrait of your companion animal or your favourite wild animal for just £25 and £22 respectively, They are small enough to carry round in your pocket (they make great worry stones). 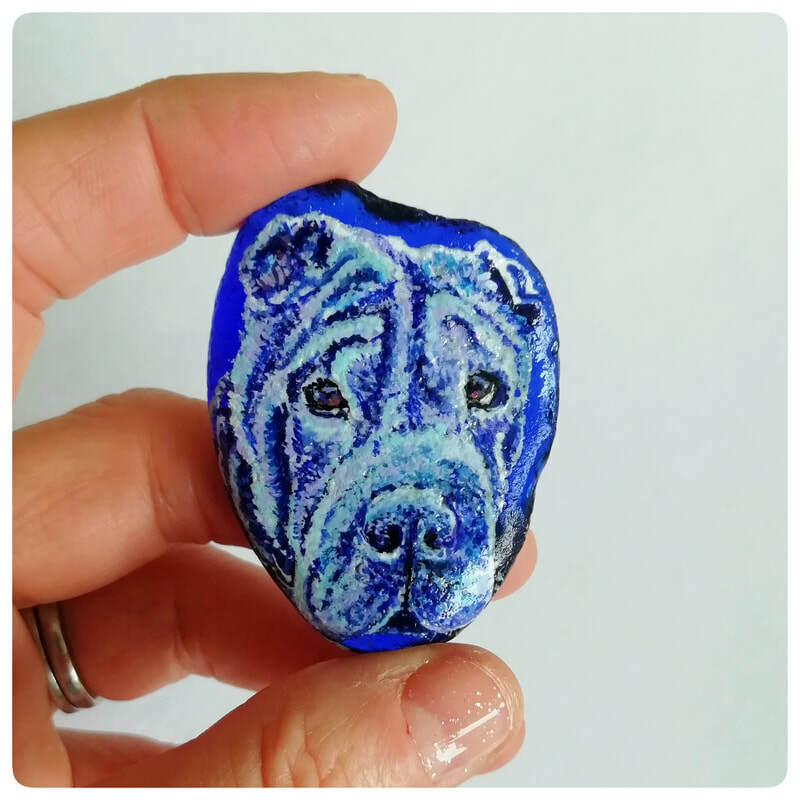 Please note it isn't possible to determine exactly what size your portrait will be as it will depend on the pebble or sea glass chosen but in keeping with it being 'peedie' it won't be any bigger than approximately 4cm at the very most and most likely will be smaller. 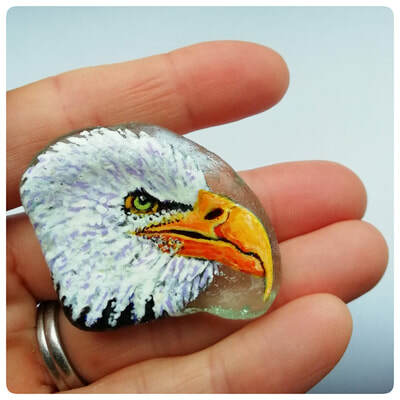 Please see below a few examples of some of my peedie painted pebbles. All pebbles and sea glass is painted in acrylic ink and varnished for protection.